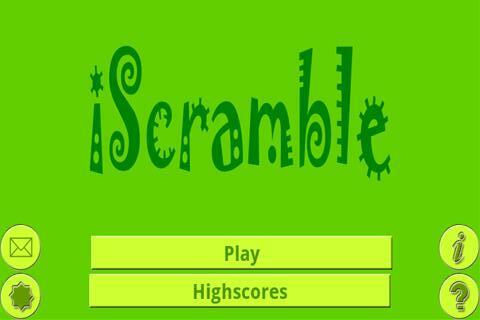 Swarm Blog: I Scramble, You Scramble, We All Scramble for iScramble! I Scramble, You Scramble, We All Scramble for iScramble! iScramble by developer SR Mobile is a simple word scramble Android game. The objective of the game is to solve the puzzle by properly placing the letters in the correct locations to unscramble the word. Players earn points every time a word is successfully unscrambled. 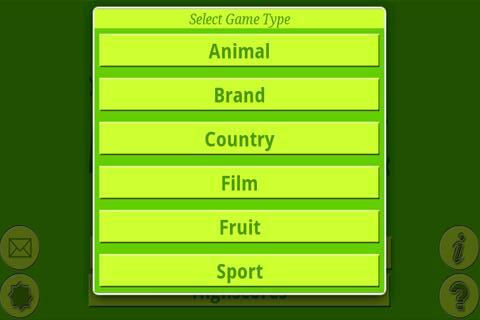 The more words that a player unscrambles, the higher his or her score will be. Not only can players track their scores locally on the device, but they can also compete against anyone, anywhere on the planet by utilizing the Swarm social global leaderboards. As if that wasn't enough social interaction, players can also share the game with friends using a variety of different methods such as SMS, e-mail, Facebook, and Twitter. If you like to scramble (or better yet, unscramble), then check out the new iScramble game for Android. It features tons of different words that are divided up across six differ game types: Animal, Brand, Country, Film, Fruit and Sport. iScramble is a fun, free game that'll keep your mind occupied for hours so go grab it from Google Play today!